It is no secret that my sweet Lola is Frozen obsessed. I mean, I can't leave the house without putting "Go" on in the car or letting her watch "Go" on my phone when I'm feeding Remy. 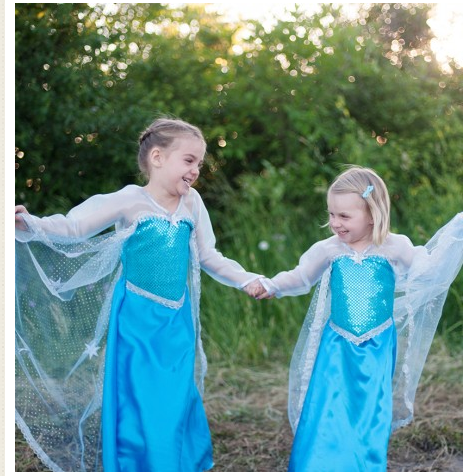 The girl lives and breathes Elsa and Anna. 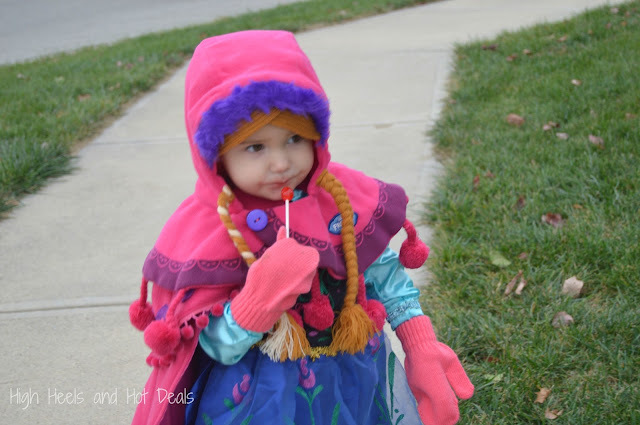 For Halloween I found the cutest Anna costume with a hat that had built in braids -- it was perfect for the cold weather. My sister made her the most darling cape too. The outfit was a hit and she went to bed wearing the hat almost every night for weeks. But what's Anna without her Elsa? Lola is in a really fun, girly stage right now and loves to dress up. I knew I had to get her an Elsa dress to add to her collection. I actually learned about a fun costume company, Great Pretenders, through Twitter. Great Pretenders is one of the oldest dress up companies in North America and has won over twenty-five awards. They believe that dress-up is so much more than just putting on a costume! Great Pretenders feels that pretend play encourages a child's creative thinking skills and helps develop their imagination. Pretending can also develop communication skills and be an outlet for expressing feelings and fears. Great Pretenders offers quality costumes for affordable prices and strive to make their products as innovative as possible when making them. Lola is in love with her Crystal Queen dress. It has just the right about of sparkle and has a pretty tulle cape attached to the back. Plus the dress is lined inside which offers more comfort than other costumes that we have found. It is a little long for her, but it will be perfect for her to grow into during this princess stage. As you can see my child would not take it off -- even to eat her chocolate cookie in it. Great Pretenders even offers matching costumes for dolls which has made her Christmas list since she is getting her first "big girl doll" from Santa this year! I can't handle the cuteness that is going to happen. Great Pretenders offers costumes and accessories for both boys and girls. I actually plan on buying two more costumes for my nieces as gifts this Christmas. Their line of capes and superhero costumes are perfect for boys too. 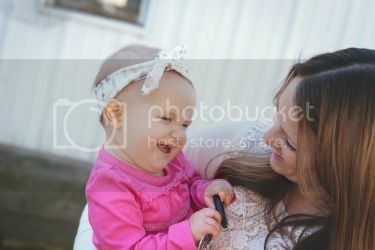 There is nothing I love more than great pretend play - and Great Pretenders has our family covered this holiday season! Be sure to follow Great Pretenders! 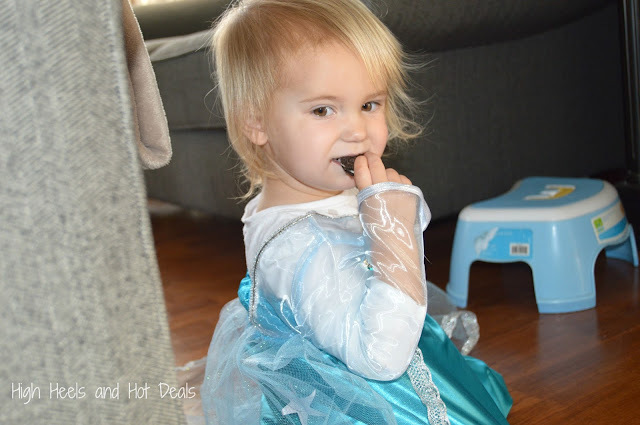 Ready to spoil your little Elsa? Enter the Rafflecopter below to win a Crystal Queen dress for your little one at home! Disclosure: I received a product sample for my review. All opinions are 100% my own. My daughter would also love the Snow Queen Cape!